My love affair with Italian cooking began over 45 years ago when I married into a large Italian family, overflowing with talented cooks. Throughout the early years of my marriage, I had the opportunity to learn the basics of Italian cuisine, and to perfect traditional family recipes. Later, my family moved to Milan, Italy, where we resided for eight years. During these years we traveled Italy extensively, savoring all the different regional cuisines, while developing a greater appreciation for the country’s culture, history and it’s people. The essence of Italian cooking today is simplicity. One uses the freshest seasonal ingredients possible and then uses basic cooking techniques to simply enhance the natural flavor of the food. 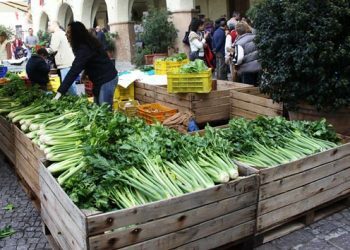 While living in Italy, I spent many hours each week browsing through the market stands overflowing with the vibrant colors of each season’s bounty. 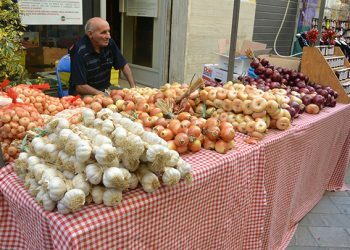 I learned to keep “an Italian kitchen” during this period, and to plan my daily menu only after visiting the local market or grocery to see what was fresh that day. I now am fortunate enough to live in North America six months a year, and Umbria, Italy the other six months where we run a vacation house for guests. 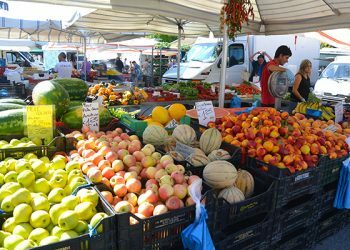 Whether I am in the US or Italy, I still try to continue this tradition of visiting my local greengrocer looking for inspiration for that day’s dinner. It was during our earlier stay in Italy, that my kitchen became truly Italian, and I learned to prepare everything from loaves of bread to kinds of pasta, and anything in between. Living in Italy also taught me that dining “Italian Style” was more than merely eating. When one sits down at an Italian table, time is taken to savor each course, to visit with those sharing your meal, and to relax after a busy day. Italians learn to appreciate good food when they are young, and eating continues to be one of each day’s pleasures even as they grow to adulthood. Italian women all seem to share a passion for food, which is probably why life in Italy has always revolved around the kitchen. Recipes are passed down through generations, and every holiday revolves around family favorite recipes. My passion for Italian food has led me to collect hundreds of personal recipes throughout the years that I will share on this blog in my Recipe Collection. I do believe in making everything from scratch in my own kitchen, but I certainly understand that others prefer shortcuts due to limited time in their busy days. I will try and offer ideas for cutting steps whenever possible in my recipes for those who would prefer this help. I continue to develop my culinary techniques each week, and will gladly share tips I learn as well as the recipes I create as this site develops. Over the years, I have learned to appreciate “simple Italian”, and have grown to realize that if you use fresh, quality ingredients, you do not need to put in a lot of effort to create a delicious meal. 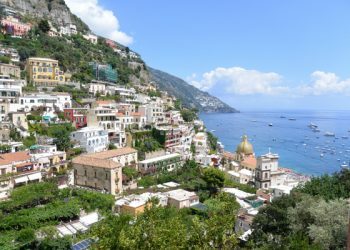 Through this blog, I hope to share both my love of Italian cooking, as well as the customs involved in the preparation and sharing of a typical Italian meal. I plan on exploring the regional cuisine throughout Italy, and the seasonal specialties unique to each area. 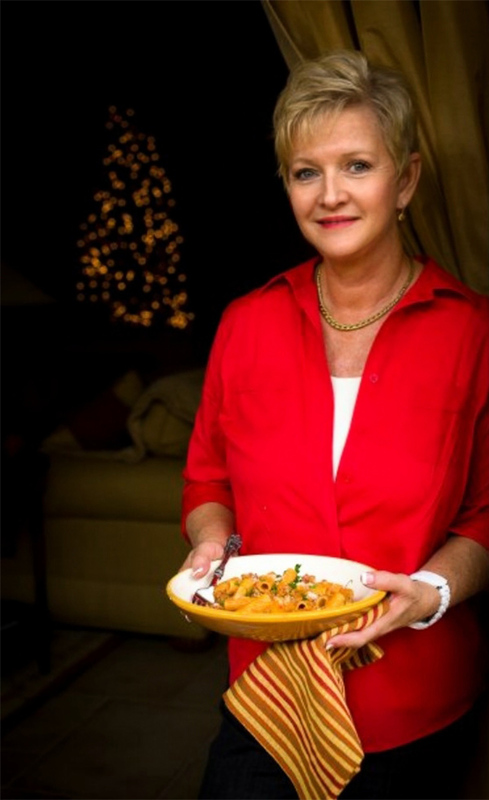 I hope to inspire everyone to try new recipes and to fully experience the joy of Italian cuisine. As this blog develops, I will be adding in new recipes and articles weekly, as well as periodic reviews of cookbooks. Please Contact Me with any specific requests, suggestions or questions. 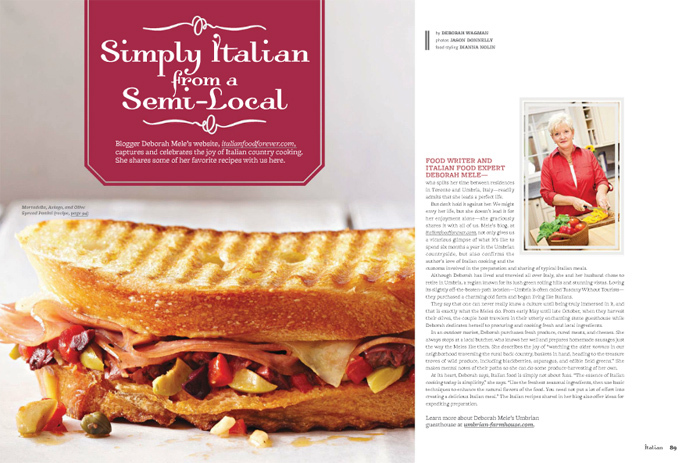 I was also featured in a 6 page spread in Better Homes & Garden Special Edition Italian 2012 magazine that was released early fall 2012. How would you describe the recipes found on Italian Food Forever? During the years I spent living in Italy, I learned to appreciate simple, Italian country cuisine and many of my recipes reflect that. As I now spend six months every year living in Umbria, Italy, my recipes also tend to focus on central Italian ingredients. Since I spend the other six months a year in North America, I also understand the difficulty in finding some specialty Italian ingredients outside of Italy, and therefore give suggestions on appropriate substitutions. The recipes onsite are either my own personal recipes, or are adapted from Italian magazines, or cookbooks. I am interested in writing a guest post on Italian Food Forever, how do I go about doing this? I am sorry, but all of the content on this blog has been written by me and I do not accept guest posts at this time. Who takes the photographs on the IFF blog, and what type of equipment is used? I take my own photos and have a Canon 50D as well as a Canon 7D camera. My photography skills are evolving, but I do consider myself a cook, and NOT a photographer. How do I go about advertising on Italian Food Forever? Please contact me for details through my CONTACT FORM. Text links will not be considered & I will not exchange links for the sake of exchanging links. Can I send you a cookbook or food product to promote and review? Cookbooks and product reviews are possible, but I will give honest reviews and will only consider products that relate to Italian cuisine. Please CONTACT ME for more information. I also have an onsite category for COOKBOOK REVIEWS where I post some of my own personal favorite, recently published cookbooks. Will you consider doing product giveaways or contests? Yes, depending on the giveaway, and if I think my blog readers would be interested in it. I do require one of the products donated as a giveaway for my personal use so I can review the product and describe it in my own words. I’d like to post one of your recipes on my own blog or commercial site, is that okay? It is violating copyright laws to “borrow” any recipes or images from Italian Food Forever without asking permission first, so please do not do so. If permission is requested, as long as the request is reasonable, 90% of the time it will be granted. Our company would like to work with you. How can we work together? If you have something else in mind, I’d love to hear your ideas. I am selective about the brands I work with, and I only promote products that fit with my recipe and travel blog, but if it’s a good match, we can discuss an arrangement. Please Contact Me with any specific requests, suggestions or questions. I do not accept payment to publish positive feedback on any product or cookbook, and all opinions are entirely my own.